We are now 15 days before the next Crew Interaction Day (the 4th of 6) with the SSEP experiments on the International Space Station (ISS), on February 26, 2014. We are just 29 days from de-orbit and return to Earth for the 12 SSEP Mission 3b Falcon II experiments and the 11 SSEP Mission 4 Orion experiments aboard Soyuz 36S. While these 23 experiments are still in orbit, we wanted to take the time to honor all the student flight teams across the U.S. and Canada by posting details of the experiments, the teams, and their communities. The National Center for Earth and Space Science Education, the Clarke Institute for Space Education, and NanoRacks, are honored to present the Mission 3b experiments. The link to the ‘Community Profile’ for each community below will allow you to read about the community’s strategic needs in STEM education, how SSEP is helping to address those needs, and all the organizational Local Partners that made the community’s participation in SSEP possible. 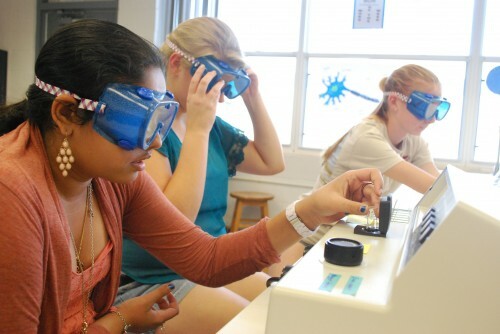 Students performing a Biuret test to detect the presence of peptide bonds. This study is important to the researchers because one of the teachers at West Shore Junior/Senior High School, Jason Whitworth, was recently diagnosed with Amyotrophic Lateral Sclerosis (ALS). The researchers are investigating ways of better understanding the causes of ALS while raising awareness of the disease. It is the hope of the researchers to help patients suffering from ALS in their fight against this cruel degenerative disease. Glutamate is an amino acid that acts as a neurotransmitter. The amount of glutamate that humans need is miniscule and is already manufactured by the body or obtained in whole foods. In the synaptic cleft between motor neurons, glutamate is normally deactivated and recycled by enzymes. In ALS patients, glutamate does not get broken down, but builds up to toxic levels, and eventually causes the neurons to die. As the neurons die, ALS patients lose control of voluntary muscles. This experiment will serve as a model of the enzymatic breakdown of glutamate in the synapse. Because the actual systems require conditions not available on the International Space Station (ISS), a non-biological model was chosen. This experiment will test the effect of the enzyme papain (papaya extract) on the breakdown of proteins in gelatin by measuring the amount of protein remaining after the reaction. The aim of this experiment is to test the ability of an enzyme to function in microgravity. It is the hypothesis of the researchers that the enzyme will be able to function more effectively in a microgravity environment. Will cosmic radiation increase the rate of mutations in yeast’s DNA? Will an antioxidant from green tea decrease the rate of mutations in DNA? 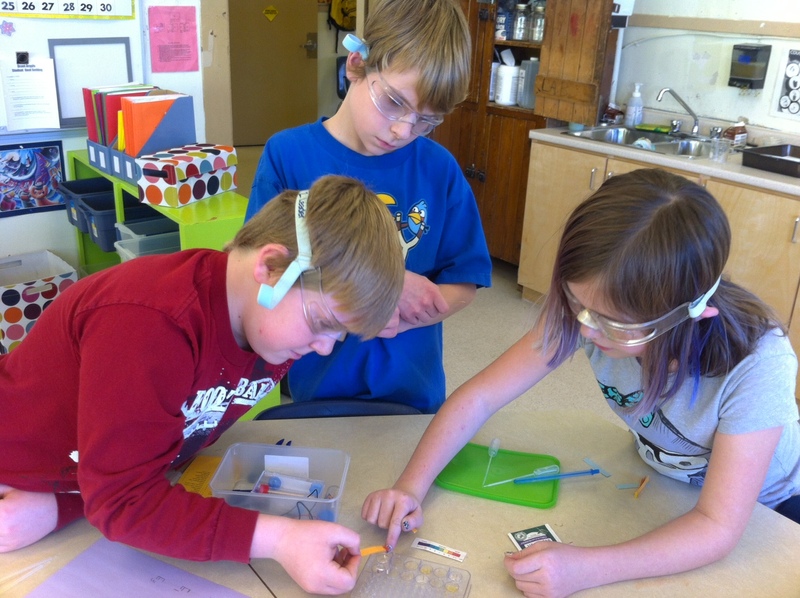 Ethan Enns, Avery Good, and Ryan Petricig testing the pH level of the antioxidant green tea for their experiment on Cancer cells. We are using yeast because originally we wanted to test human cells in space but we found out that they would die before they got into space. The cells would not survive for several reasons: there is not enough oxygen, there would be no way to eliminate waste, there would not be enough nutrients, and it would not be warm enough. We will be using yeast as a model for human cells because they are very similar and easy to work with. We will be testing yeast in saline and yeast in saline with an antioxidant from green tea to see if the antioxidant will protect the yeast from the cosmic radiation experienced in microgravity. On Earth we will have a control consisting of the exact same experiment. This will show us if there is an increased rate of damage to the yeast’s cells from the radiation and if the antioxidant will decrease the damage to the cells. We hypothesize that the radiation will increase the rate of mutations in yeast’s DNA in space compared to the mutation rate on Earth. We also hypothesize that the antioxidant from green tea will decrease the mutations to yeast’s DNA. 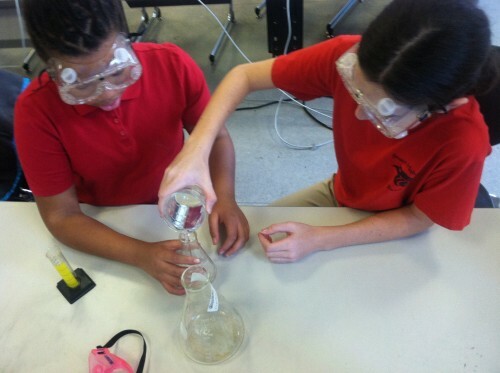 Lilly and Cameron test saline solutions in the lab at Stuart Hobson Middle School. Our proposed experiment is to test the preserving properties of salt on meat in microgravity. We developed this experiment based on our knowledge of how food was preserved in the past. Salt was used to prevent bacterial growth and preserve meat for an extended period. This experiment could shed light on alternatives to freeze- dried food for astronauts and visitors to outer space. The experiment consists of a piece of unsalted meat and a piece of salted meat. The unsalted meat will test to see if bacteria will grow on the meat in microgravity. The salted meat will test to see if, should bacteria grow on the meat, salt will mitigate bacterial growth in microgravity. Does microgravity affect the growth of a Glycine max seed? 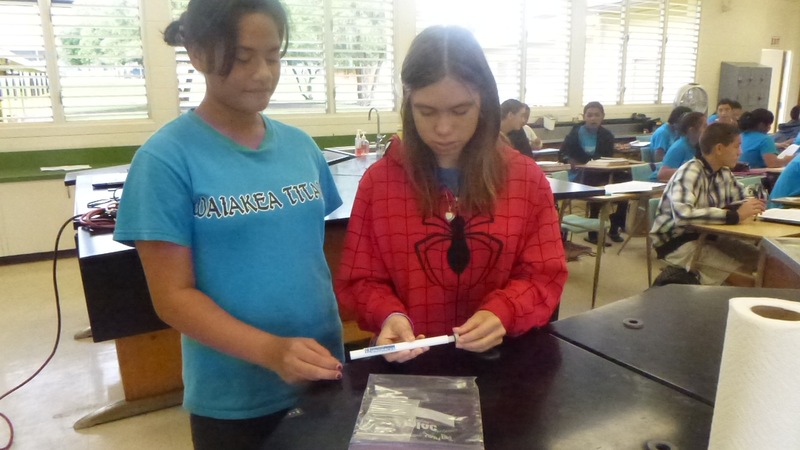 Two students from Tabitha Booth’s eighth grade class at Waiakea Intermediate School, Rachel Hu and Kaila Joy Mahoe, explore the FME minilab for the first time. This experiment will attempt to determine if microgravity affects the growth of a Glycine max seed. The experiment uses deionized water, sterilized soil, fertilizer, and dry Glycine max seeds. Equal parts of sterilized soil and fertilizer will be mixed. The nano rack will be filled with 4 mL of the soil and fertilizer mixture. Three approximately 1.5 mL dry Glycine max seeds will be weighed separately and placed in the center of the soil and fertilizer mixture. Weight of each seed will be recorded. Ampoules A and B will each be filled with .92 mL of deionized water then placed in the nano rack. Two days after the space shuttle arrives at the space station, Ampoule A will be broken releasing water onto the contents of the nano rack. The same process will be done fourteen days before departure back to earth. The same experiment will be simultaneously conducted on earth. Upon return of the space shuttle, observations of the seeds will be done and data will be collected. Observations will include seed weight, length of any cotyledon, and stage of growth. This experiment will be conducted to determine if microgravity affects seed growth. If it is determined that microgravity allows for seed growth, plants can be grown in space as a renewable food source. These plants will also recycle carbon dioxide and release oxygen. Food supplies will be less of an issue. Space travelers will be able to travel farther in the solar system and live in space stations for longer periods of time. 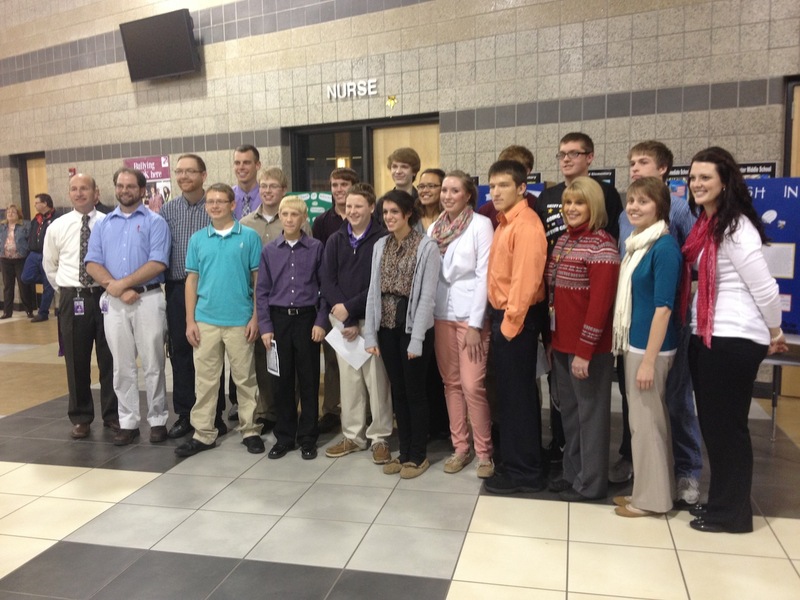 Valley Center recognizes their three SSEP finalist teams at their STEM Showcase Event. We know that bacteria grown in space are more virulent, but does it make them resistant to antibiotics? The essential purpose of our experiment is to monitor the effect of microgravity on the growth of bacteria and how it resists an antibiotic originally used to eliminate the bacteria grown in the effect of gravity. Using FME Type 3 we will be able to control when each “ingredient” is added to the experiment. This should allow for precise results. Following its return the FME will be sent to Valley Center High School for analysis. Our bacteria, staphylococcus intermedius is a very common bacteria that can cause multiple harmful infections. The antibiotic of our choice is ciprofloxacin which is considered a good to excellent killer of these specific bacteria. Will Microgravity Alter the Regeneration of Dugesia Tigrina? Team selected for flight begins setting up pre-flight experiments. is the effect of microgravity on the regeneration of an organism that is genetically similar to human beings, D. Tigrinas? D. Tigrinas and humans both regenerate cells in a similar way, pluripotent stem cells. Because pluripotent stem cells can specialize into any type of cell in an organism, discovering how these cells work has great potential in the medical field for treatments and cures to diseases that as of yet have no cure. D. Tigrinas have the capability of regenerating entirely new bodies from severed body parts using the pluripotent stem cells found in their bodies. In accordance with this fact, our experiment will be to cut a D. Tigrina halfway down in order to observe the effect microgravity has on the regeneration or healing of the D. Tigrina. We hypothesize that in microgravity the D. Tigrinas will regenerate in a much larger volume than under normal conditions due to the lessened amount of force acting upon the new cells. Also, we believe that the lack of gravity will throw off the D. Tigrinas sense of equilibrium, which could mean that the new body structures formed might have structural defects as well. How do growth and antibiotic use together respond in microgravity? 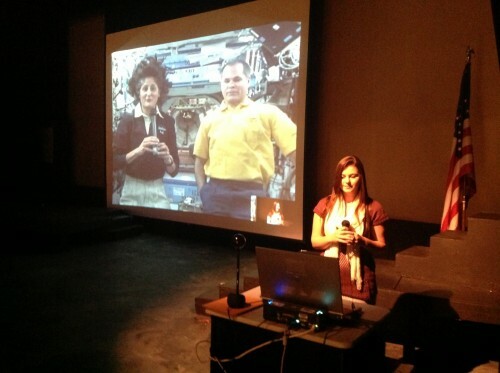 On November 15, 2012, during a live video-conference with the International Space Station, Traverse City West Senior High School 11th grade SSEP researcher Kelsey Cosens asks Station Commander Sunita Williams and astronaut Kevin Ford a question. 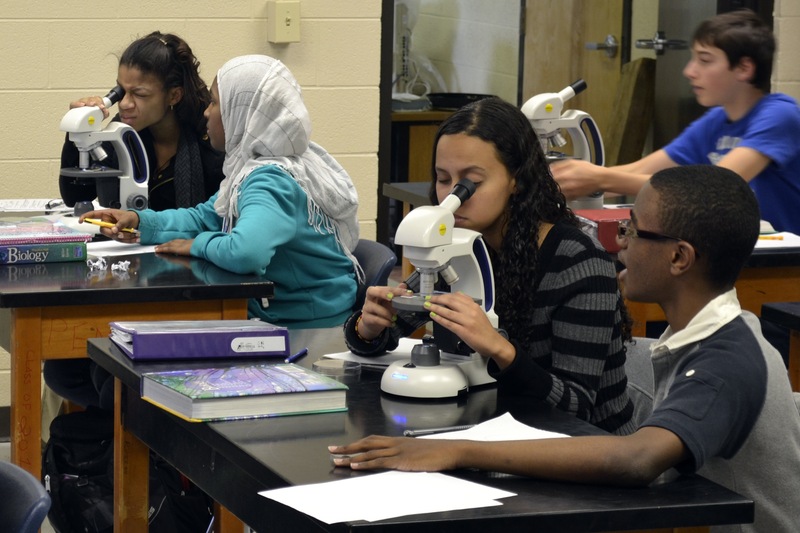 Over 12,400 participated in the live event across 25 SSEP communities. Everyone all around the world is exposed to numerous amounts of bacteria. Bacteria can lead to infections and deadly illnesses. Because of modern medicines and cleaning agents people on Earth have made it harder to become infected with bad bacteria and can cure infections. When astronauts travel to space there are no washing machine for clothes, no hospital, limited cleaning supplies, limited water, and limited amounts antibiotics for treating bacteria. Astronauts are exposed to many bacteria, the chances of getting infections are higher, and it is dangerous without the right antibiotic treatment. When a bacterium infects the skin is grows exponentially so it is important to treat it with an antibiotic right away especially in space where there is no hospital. To protect astronauts from bacteria we will test the strength of an antibiotic (cephalexin) on a skin bacterium (staphylococcus epidermidis) in a microgravity environment. The bacteria Staphylococcus Epidermidis is exposed easily to people because it lives on skin and but it causes dangerous infections. It starts small in a cut or sore then grows in the flesh. This is why its important for people to know how antibiotics work in a microgravity environment before someone is exposed to a bacterium such as Staphylococcus Epidermidis and its not treated correctly. After our experiment where we will expose our bacterium to the cephalexin we will compare the surviving bacteria cultures with our control experiment on Earth in Munson’s laboratory. This will show how efficient antibiotics are in a microgravity environment. Pleasanton Students Breann Zimmer and Kara Dauel work with local researcher, Dr. Frank Kovacs, Biochemistry professor at the University of Nebraska-Kearney. 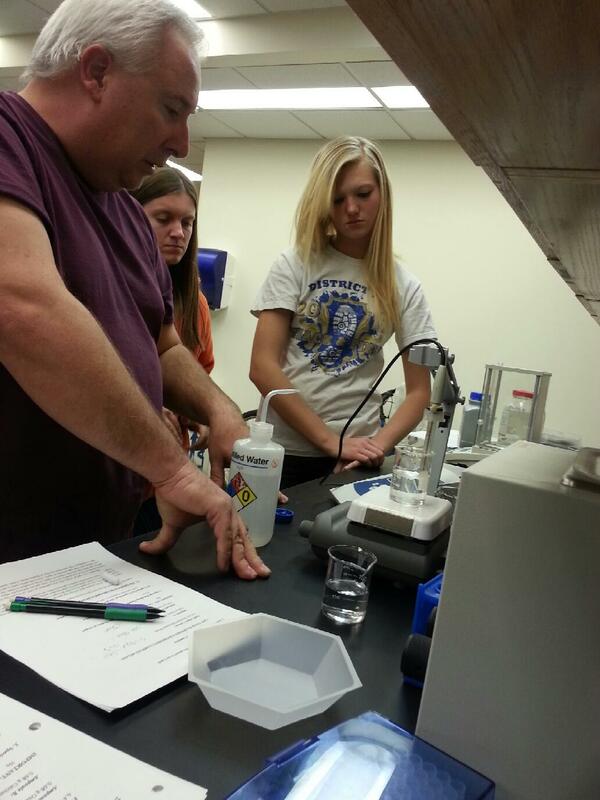 The student research team is calibrating a pH sensor to determine the pH levels of the experimental solution. Kidney stones are a very common medical condition. Everyone is susceptible to kidney stones if they don’t drink enough water. NASA researchers have found that there has been an increase of kidney stone formation in astronauts during space flight (A Potential Cause). We want to test how microgravity affects formation of calcium oxalate crystals in space. We also want to see if more kidney stones form in microgravity than on Earth and identify distinguishing growth characteristics between the two environments. We hope this research will help scientists find a way to decrease the formation of kidney stones in microgravity. 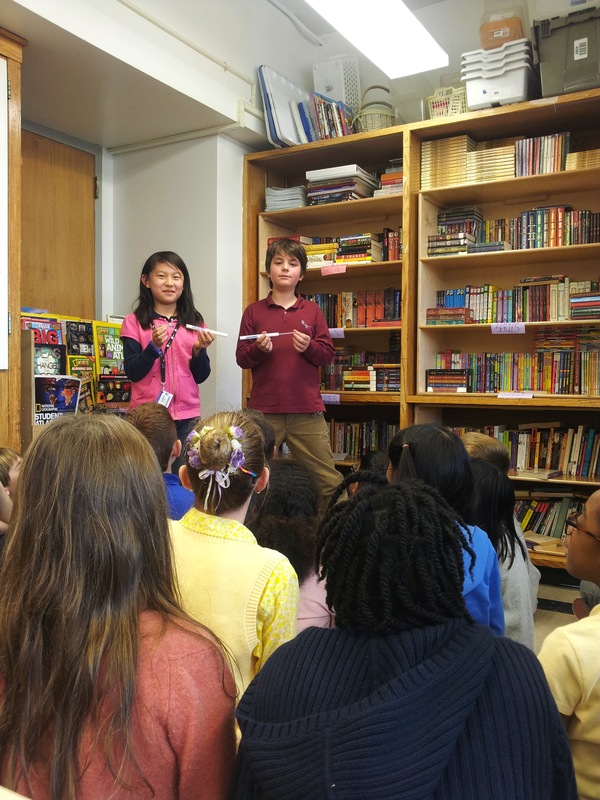 Principal Investigators Lennie Ma and Xander Plossl explain how to assemble a Type 2 FME mini-lab to their research collaborators in Zach Vine’s 5th grade classroom at New Explorations into Science, Technology and Math (NEST+m). Milk is a vital food source that mammals produce and depend on for the first years of their lives. Does milk spoil in microgravity the same way it does on Earth? Specifically, we are proposing an experiment that will answer the question: Does bacteria growth in milk happen differently in microgravity than it does on Earth? We are going to use a Type 2 Fluids Mixing Enclosure (FME). The main volume will contain 6m1 of distilled water and the large ampoule will contain 1.5ml of powdered whole milk. Once the FME is aboard the International Space Station (ISS), the powdered milk and water will be mixed together. Bacteria will begin to grow when the powdered milk is mixed with the distilled water. When the FME returns to Earth, we will examine the bacterial content of the milk that was in microgravity and compare it to the bacterial content of the milk that was part of our ground truth experiment. We will use a “bacterial examination of milk kit” purchased from Carolina Biological to help us conduct a standard plate count, a direct microscopic count, and a dye reductase test of the two milk samples. We hypothesize that the microgravity milk sample will grow bacteria differently than the milk sample from our ground truth experiment on Earth. Specifically, we believe that the microgravity milk sample will grow fewer bacteria than the ground truth experiment milk sample. Students (from left to right) Kyler Mark, Areej Hussein, Emmanuela Mengistu, Peyton Echols and Vittorio Lagnerini, ninth-graders at The STEM Early College at NC A&T in Greensboro, N.C., use microscopes to compare the cellular structures of microscopic organisms. This project will determine whether geotropism in Allium Cepa, onions, is possible in a micro-gravitational environment. Geotropism is the process in which gravity effects the positioning of a plant. Science suggests that auxin concentrations are the possible driving force behind geotropism. Gravity helps a plant determine the directions up and down in order to position itself accordingly. No matter which position you put a plant in the roots and Cotyledon will always grow in opposite directions according to geotropism. However will the laws of geotropism apply in the micro-gravitational atmosphere in space? Will the plant still be able to position itself correctly so that its key formations will grow in opposite directions? We will be particularly focusing on the germination of the plant seeds and we will observe whether or not the roots and the Cotyledon of the plant will grow in opposite directions regardless of the lack of gravity acting on the plant. We will test this using water, oxygen, onion seeds and the Type 2 FME. We plan to germinate these onion seeds in space, by breaking the long ampoule on D-5 days there by mixing water and seeds and taking the seeds out of hibernation and start germination. When Type 2 FME returns to earth we will compare it with the germinating seeds here on earth. From this we will draw a conclusion on our focus. How does bacterial growth and subsequent decay of enamel on pig teeth differ in a microgravity environment compared to on Earth? Our proposal is that we want to see if microgravity affects the bacterial growth and subsequent decay on pig teeth, and how it is different than on Earth. Ampule ‘A’ will contain S. Mutans, which we plan to obtain from Ward’s Natural Science Company. The S. Mutans that we will have are freeze dried and are a powdered substance. Ampule ‘B’ will contain formalin, which will be broken at the end of the experiment to kill and preserve the bacteria. The main volume of the FME is going to contain the shards of the pig’s teeth and Thioglycolate Broth (pH=7.1), which is a sugar nutrient source for the S. Mutans. The essential part of the experiment is that the astronauts will break the S. Mutans at A=0, which will release them into the nutrient broth and they will begin to grow throughout the solution. We also are going to coat 1/3 of the pig’s teeth with Paraffin so that the bacteria will not grow on the teeth and protect the teeth for comparison purposes. Another 1/3 will be coated in 5% sucrose agar. For the duration of the flight we are hoping that the bacteria are going to produce enough acid to decay the teeth. At D-2 the astronauts will break ampule ‘B’ and release the formalin, which will kill the bacteria so that when we receive our experiment here on Earth we can analyze the teeth. We have access to a microscope at the local university which we will use to look at the pitting of the teeth and compare the experiment to the one we will conduct on Earth. Wise County SSEP student flight team members preparing their ground truth experiment. 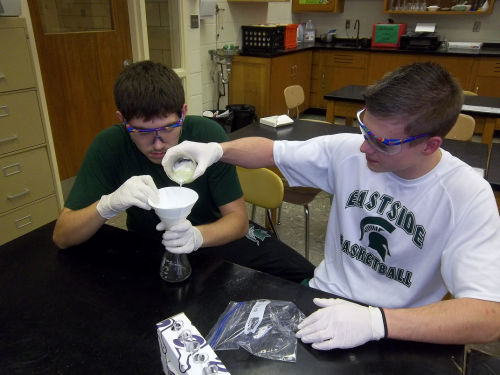 Using the reaction between milk and acetic acid, the protein casein will be extracted in a microgravity environment and tested to see if denaturation of this protein is occurring because of a lack of gravity. The main protein in homogenized cow’s milk is casein. The milk has been well mixed to prevent it from separating. At the normal pH of milk, the protein, called casein remains evenly dispersed in the solution. When an acid is added to the mixture, the pH drops and the casein can no longer stay dissolved, forming an insoluble mass of the protein. We would like to perform this experiment between milk and acetic acid in a microgravity environment in a Fluid Mixing Enclosure or FME. The casein that is extracted in a microgravity environment will be compared to the casein extracted in a controlled environment on Earth to see if the lack of gravity caused denaturation of this protein. Several factors can cause the denaturation of a protein such as changes in pH and temperature. Could a lack of gravity also change the nature of this protein? We would like to answer this question by exposing the casein to a microgravity environment and examining the changes in the properties of this protein once it returns to Earth.